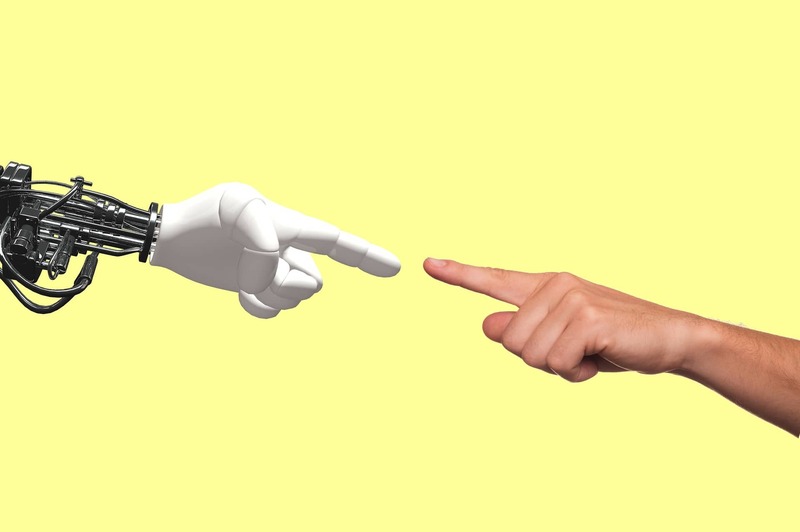 Artificial intelligence has been a hot topic for a while and the word is often linked to images of robots enslaving humans and creating a new world order. Movies like the Terminator or I, Robot, show the negative extremes artificial intelligence could lead to, but the situation is nowhere near that bad. Artificial intelligence or AI is defined as the ability of a computer program to think and learn. You might not have noticed it, but AI is already present in our lives, from big companies to apps you use everyday. AI is divided in 4 types based on the ability to perceive the world, self-awareness, memory of the past and ability to improve itself based on learning. The first and second types of AI already exist and are used by many of us today and comprise Artificial Narrow Intelligence (ANI). Type three and four are more advanced and together make up Artificial General Intelligence (AGI) and Artificial SuperIntelligence (ASI), which has not been created yet but has potential to be as smart as a person or even smarter. It is the first and most basic type of AI. With no memory or perception of the world or time, these machines are made to perform one single task based on the current situation. An example of a Reactive Machine AI is the IBM chess computer DeepBlue. In 1997 IBM’s computer won a chess match against the reigning world champion Garry Kasparov. DeepBlue was able to do that by going through all the possible moves based on the position figures were in and choosing the fastest route to a checkmate. Because this AI can only focus on one task, it is difficult to find an application for it anywhere else in the world. As the name implies, Limited Memory AI is different from Reactive Machines because it is able to look at past data and current situation to make a decision. Robots running on Limited Memory AI have to connect what they learned before and observe what is happening now to make a judgment. Modern self-driving cars rely on this system. The computer in these cars knows from its memory how the cars usually drive, how people or cyclists look like and what are the rules on the road. At the same time, it observes its surroundings for obstacles like other cars, trees or people adding it to its existing understanding of the world. This is the most common type of AI used today: you see it in personal assistant in your smartphone, Google search, Google translate, Facebook feed, and in many other apps you use on a daily basis. While the third (and fourth) type of AI don’t exist yet, we already have an idea of what it will be like. Many movies have already shown the scenarios that type 3 and 4 can bring to our lives. Machines reaching type 3 of AI will be able to perceive and comprehend human emotions and adjust their behavior accordingly. Robots with this AI will have a memory and an image of the world, based on what they learn they improve themselves. In a reality, where this is true, robots will become a part of our society, understanding human feelings and acting like us. R2-D2 from Star Wars is a fitting example of a theory of mind robot since he could understand other people’s fear and anger, and acted scared or excited in certain situations. This type of AI still raises many challenges. Researchers are struggling to replicate what happens in the human brain. Societal norms, emotions, instinct create many variables that are difficult to recreate in a machine. At this stage computer thinking will reach the level of human consciousness with a full perception of the world, human emotions, intents and reactions. This AI will shift from “I think” to “I know I think”. Robots with this AI will be as smart or smarter than humans and will be able to perform as well, or even better, all the normal tasks we do now. Can people create something like this? Will we have to give them same rights as humans? Will they overtake the world?